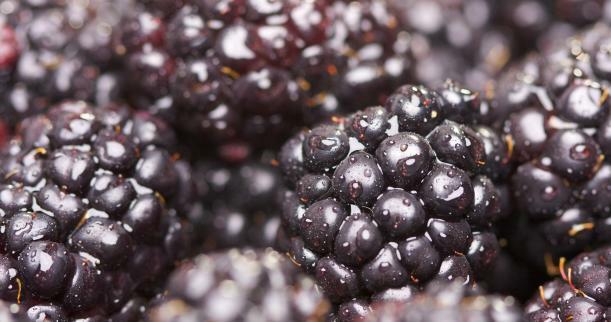 Our boysenberry crop is picked seven times over a one-month period, from mid-December to mid-January. 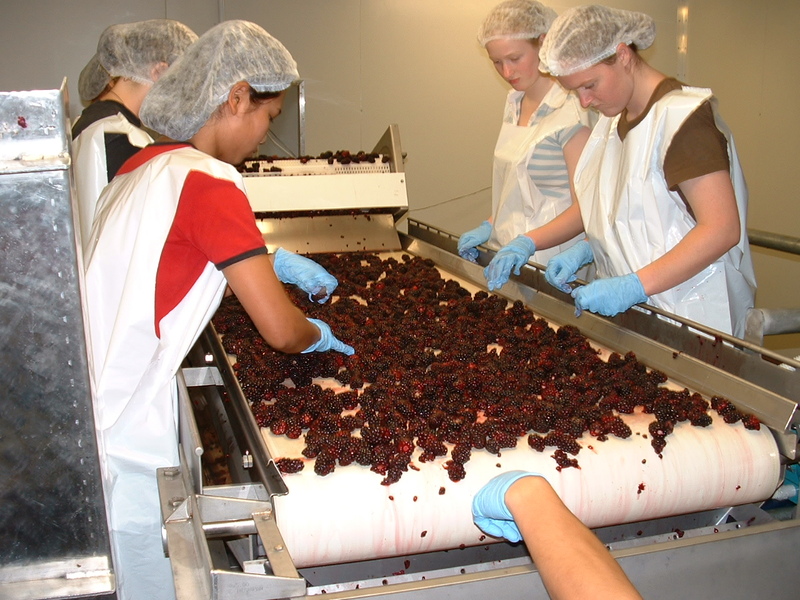 All fruit is packed through a state of the art packing complex, which is independently audited. 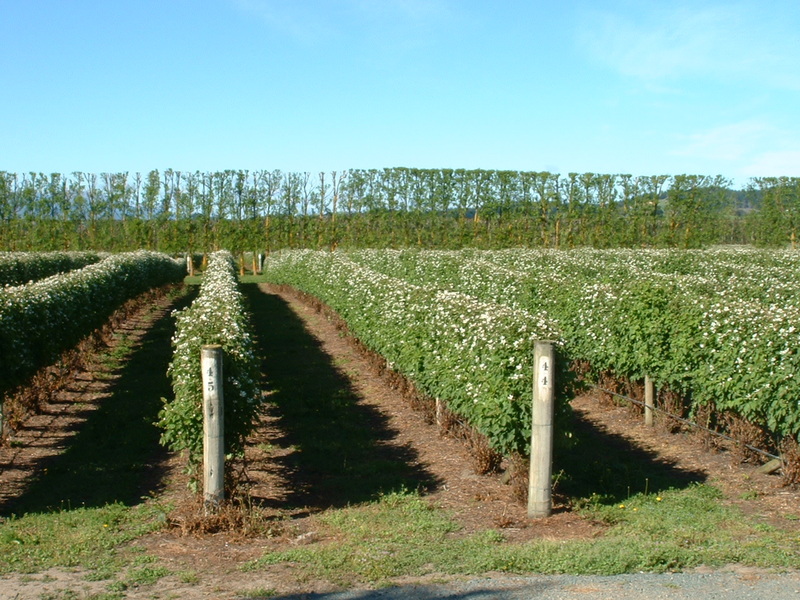 Wai-West Horticulture grows approximately 15% of New Zealand’s boysenberries. Nearly 30% is sold to local manufacturers with the balance being exported to many countries around the world. 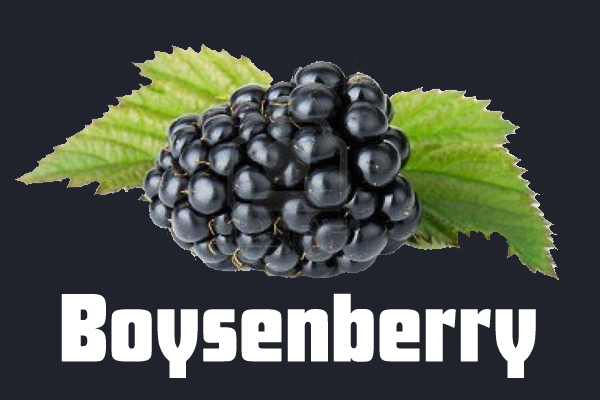 Boysenberry is the New Zealand Number 1 fruit icecream flavour. It is also used in yoghurts, jams, drinks, pies, desserts and confectionery. It’s unique colour and flavour leave a lasting impression on anyone who eats this wonderful fruit. 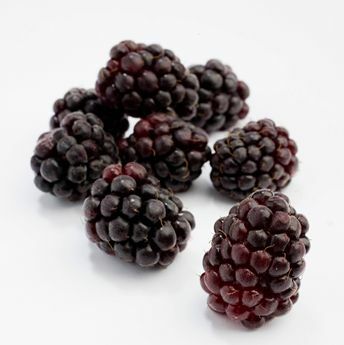 Boysenberries were discovered in California, USA by Rudolph Boysen (circa 1920). 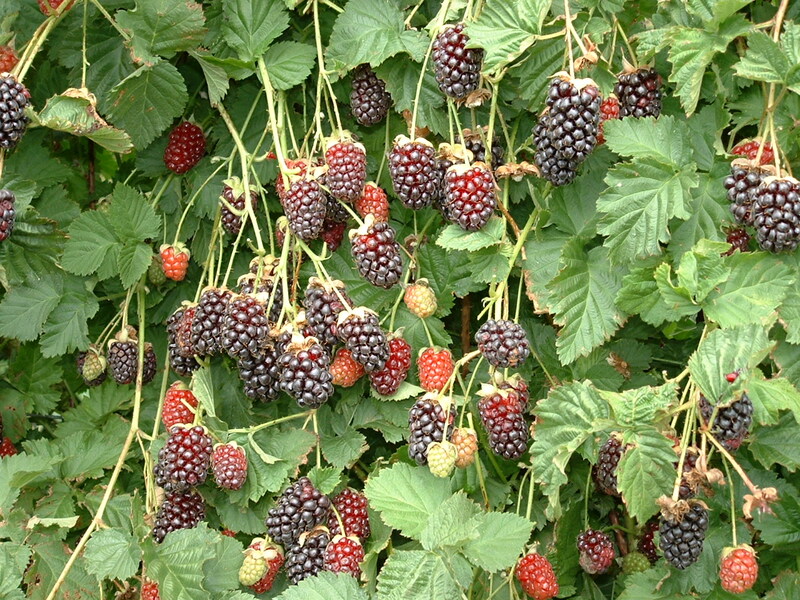 Its parentage is thought to be a cross between Loganberry, blackberry and Cuthbert raspberry. 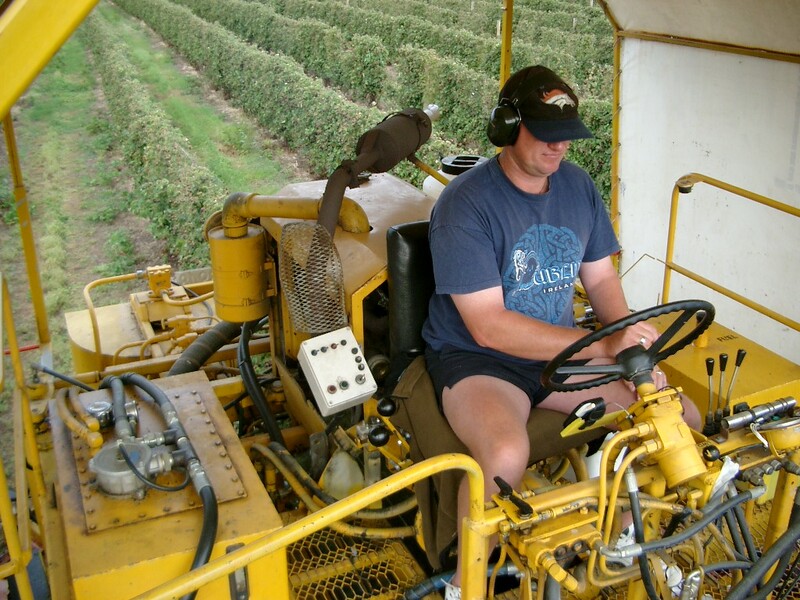 Originally farming in the Napa Valley, he moved to Anahiem in Orange County, California. From here Walter Knott propagated them further in 1934. As their popularity grew, Mrs Knott began making preserved – which ultimately made Knotts Berry Farm in Buena Park, California, world famous. Climatically, boysenberries are very sensitive. This is why they are not widely planted around the world. Today the main growing areas are parts of the West Coast of USA, Chile and New Zealand. Nelson’s climate is ideally suited with its cool winter, temperate spring and autumn and dry summer. Nelson receives between 2500 hours of sunshine annually and 1000mm (40 inches) of rain. Its geographical position protects the region from the prevailing westerly winds. Its young alluvial soils are well suited to a wide range of crops. 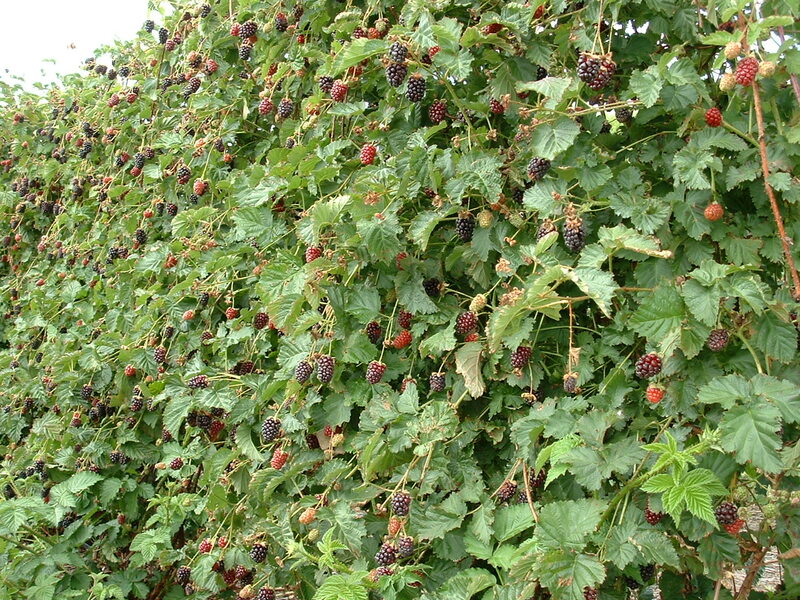 Nelson, New Zealand now grows over half of the worlds production of boysenberries. 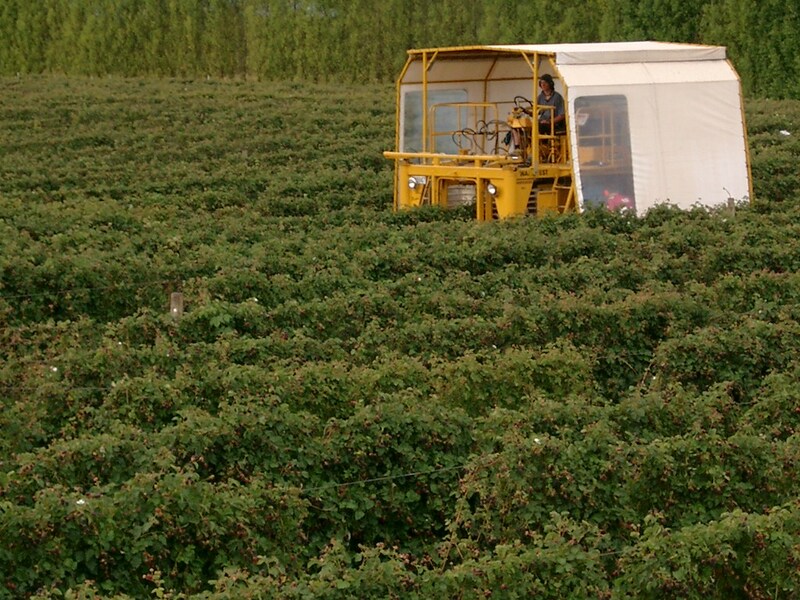 Boysenberries like Nelson’s climate and soil type and thrive under the expert eye of our Berryfruit staff. 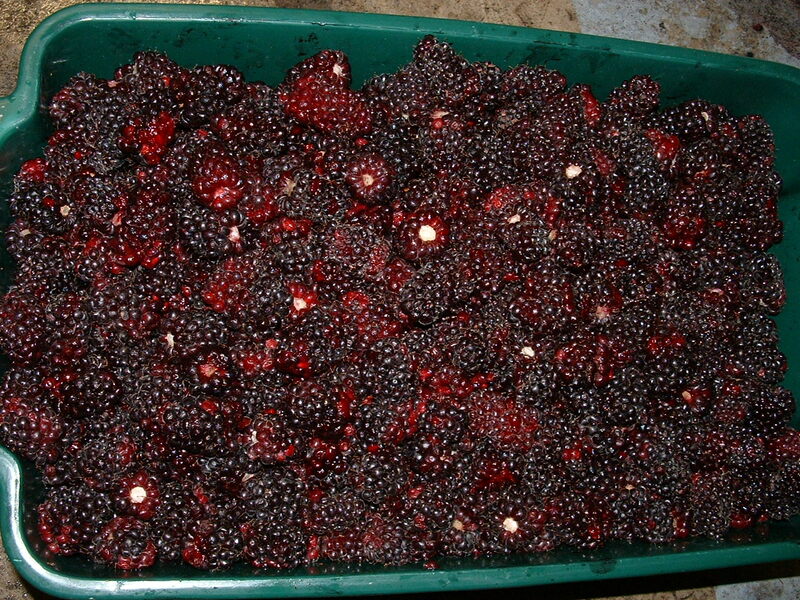 Boysenberries are packed and frozen in block form, individually quick frozen (IQF) or processed into fruit concentrate for pail and drum shipping. We produce approx 400,000 kg each year for jams, ice creams, yoghurts, pies and desserts. 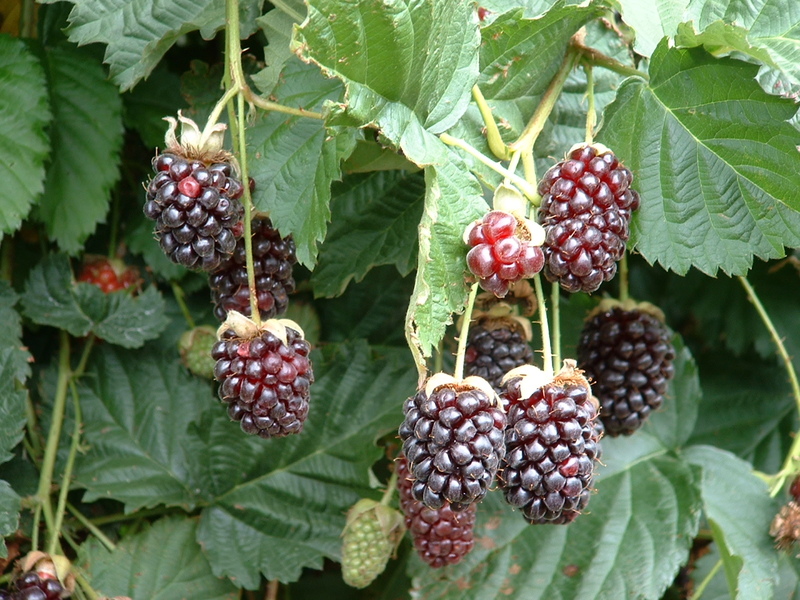 Nelson is the home of boysenberries in New Zealand. 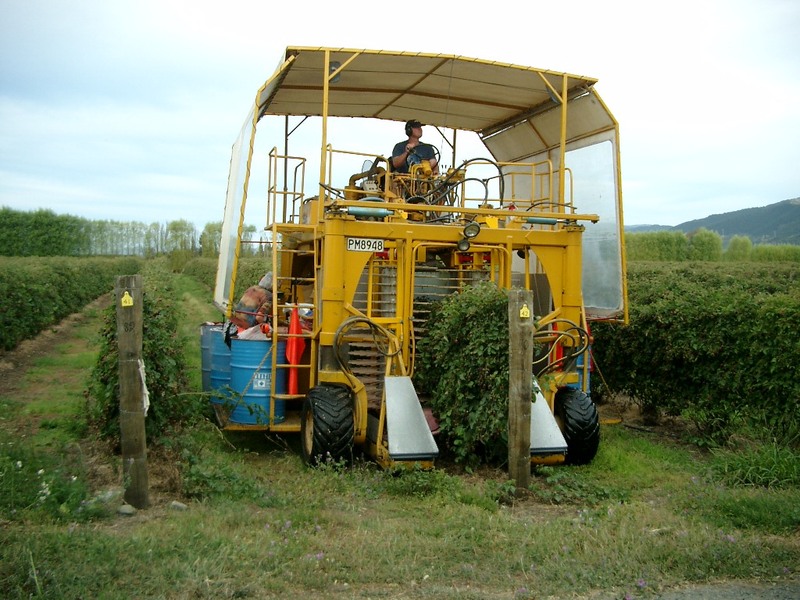 Brought to Nelson in the 1960’s, the area saw dramatic planting’s in the late 1970’s and early 1980’s by many small growers. Today the area is relatively static with much of the production grown by a few large growers. 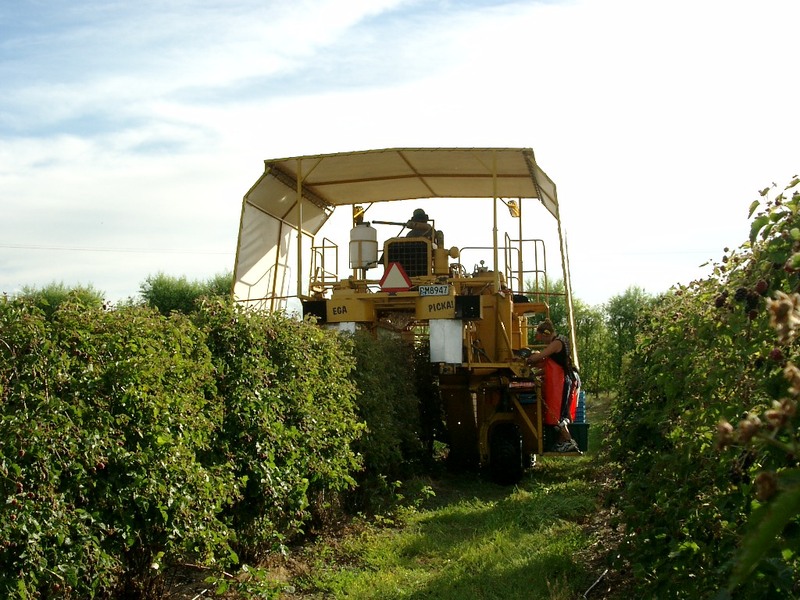 All of Wai-West Horticulture’s boysenberry crop is monitored for pests and diseases by fully trained personnel. Fertiliser and irrigation is only applied in response to plant requirements.